The Accidental Instructional Designer covers nearly every aspect of the e-learning design process. It’s perfect for the learning professional or instructional designer who is just getting started—or the practitioner looking for new ideas. Delve into instructional design, creating scenarios, building interactivity, designing visuals, and working with SMEs. Read a sample chapter. Get the conversation flowing with The Accidental Instructional Designer Book Group Discussion Guide. Download the free guide from the book page. If you start a book group in your organization, let me know how it goes! If you haven't already figured it out, there's this duck meme thing going on in my life. Book covers with ducks on them. 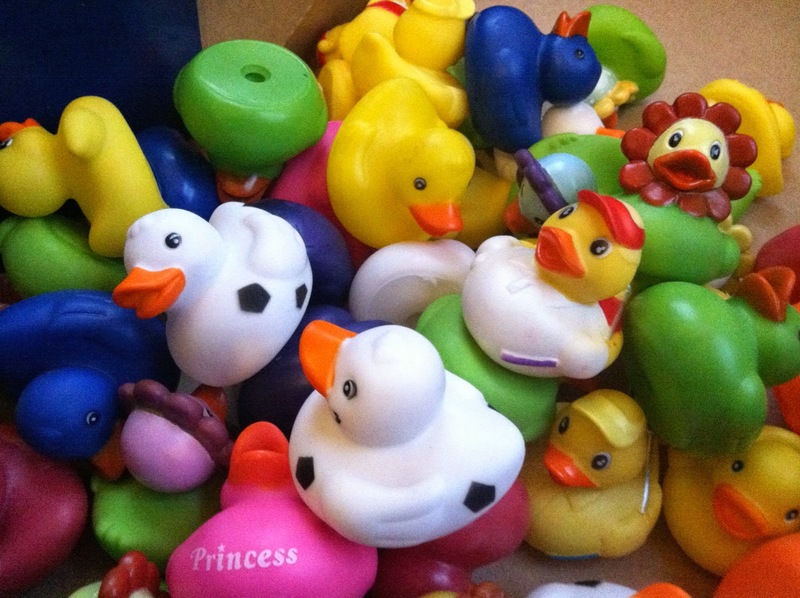 At Christmas this past year, a friend sent me a box of rubber ducks. All colors. 50 of them. In my twenties I even had a hair cut that my friends joked looked a little bit like a duck's bottom. Like any good meme, these ducks have a life of their own, and I no longer have any control over them. 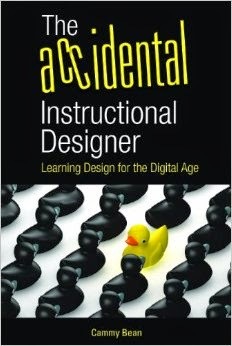 My book, The Accidental Instructional Designer, features a bunch of black rubber ducks with one shiny yellow one standing out from the crowd. The yellow duck, instead of the black sheep. One of my clients recently told me that she had bought copies of my book for her entire design team. She's running a reading group with them, focusing on my book! Along with my book, she gave each of her team members a rubber duck to put on their desks. She says she keeps a rubber duck on her desk to remind her that although she was an accidental instructional designer, she knows her stuff and practices with passion and intention. She wanted to share that message with her team. I love that the duck meme has spread. I have a few extra rubber ducks at my house these days. What color would you like? Pick up your copy of the Accidental Instructional Designer: Learning Design for the Digital Age on Amazon or through ATD Press. Join me and Chip Cleary, Kineo's VP of Solutions & Consulting, as we introduce a new webinar series focused on blended learning in different solution areas. 30 minute sessions, we'll keep it tight and focused, with real-world examples to get you inspired. The series launches Thursday, April 2 with Make Blended Learning Work for Leaders. Learn more and register today!